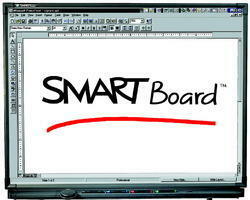 An Interactive Whiteboard(IWB) is a large white board that connects to a computer through an USB cable. A projector projects the computer's desktop on to the board's surface where users control the computer using a pen,finger,stylus, or other device. The board is typically mounted to a wall or floor stand. They are used in a variety of settings, including classrooms at all levels of education, in corporate board rooms and work groups, in training rooms for professional sports coaching, in broad casting studios and others. Designator for classroom & conferencing system application. Can simulate a paint brush or used as a desktop mouse. Create, edit and annotate over live movies. 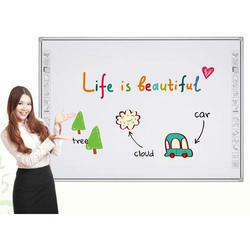 Next Generation Interactive White Board. Applying digital vision touch technology, no special pen required! Multi users can write on the interactive surface simultaneously. SPEDVT82 supports Multi-touch and gestures recognition. Collaborative learning becomes an extraordinarily natural experience with the SMART Board® 800 series interactive whiteboard – now with four-touch interactivity. Up to four students can collaborate and interact with lesson content anywhere on the interactive surface. This interactive whiteboard also features a multiuser Pen Tray with buttons that make it easy for users to switch ink colour, access the On-Screen Keyboard and right-click. Raptor Electro magnetic Board is an all-in-one interactive solution with a choice of 80’’ and 100’’ widescreen boards, integrated sound system, dual user functionality and sophisticated software that uses the digitized pen as a touch system. With Raptor Boards, interactive, engaging sensory experiences are easily within reach for today’s collaborative, productive business environments. Patented I-AVST Infra Ray(IR) Multi-touch technology - Make it a powerful tool in the classroom to add Interactivity and Collaborative learning. Support 10 touch point-Up to 10 students can collaborate without boundaries and get more Interactive learning experience. Work with different platforms- Windows OS no driver tool needed (HID device - Plug & Play); MAC and Linux drivers available upon request. Standard marker pen writable surface- Uses a normal whiteboard and cleans without residual, even provides low-gloss surface optimized for projection. Optional ceramic surface available for Anti scratch function. Eco Friendly - Low power consumption through USB port. Robust Design - Robust mechanical design for long time. 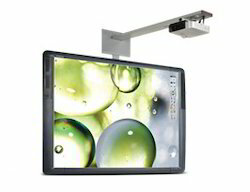 The ActivBoard 500 Pro is a state-of-the-art Interactive whiteboard with pen and intuitive multi-touch functionality. Designed to foster a true collaborative learning experience, the ActivBoard 500 Pro enables up to four students to work together simultaneously on a task. Images can be easily moved, scaled and rotated with finger touch in conjunction with real life pen tasks such as solving a math equation. Promethean's award-winning ActivInspire software unlocks an exciting world of rich, open content and teaching Resources, such as math tools, sounds, templates and gesture touch applications. Promethean ActivOffice, an ActivInspire plug-in for PowerPoint®, incorporates the collaborative features of Promethean's ActivInspire into PowerPoint® slide shows to create Interactive, engaging presentations. Promethean Planet's 50,000+ free teacher Resources and online Professional Development give teachers everything they need to create more active, inspired and engaged classrooms. The ActivBoard 500 Pro system is an all-in-one Interactive solution with a choice of 78", 87" or 95" widescreen boards, integrated sound system, Dual-User functionality and Promethean's award winning software. The ActivBoard 500 Pro is available as a Fixed, Adjustable, Mount or Mobile System with a choice of Extreme Short or Short Throw Projectors. With ActivBoard 500 Pro, Interactive, engaging sensory experiences are easily within reach for today's learners. 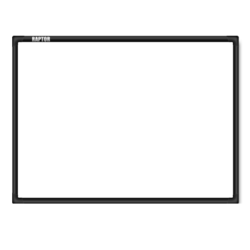 Looking for INTERACTIVE WHITE BOARDS ?